Get inspired by my new girl hero, the rather amazing Rebecca Cork of Honeywoods Camping. She chucked in her day job to set up a pop-up camping company, and just hosted her very own mini festival, Feast in the Woods. We had a lovely chat about cider barns, campfires and compostable bogs. Tell us about starting Honeywoods Pop-Up Camping. I had been working in London for almost 5 years, running events for charities, and spending my holidays volunteering at Oxfam as part of their stewarding teams. I realised that I wanted to combine my skills with a love of the outdoors and of living a more simple life and slowing down the pace at which I was going. Buying land to run an ecological campsite looked very expensive and licences were hard to obtain, but any given site can have campers on for a small number of nights in a year without needing a licence, and so the idea of Pop Up camping came about. I realised that there was something magical about creating temporary communities in woodlands for one weekend only, leaving no trace behind once we had gone. I was lucky to find a landowner who supported this idea and who has supported me throughout the setting up of the company. Why did you organise Feast in the Woods? I never set out to organise a festival, in fact; I just kept adding in music and activities to the first Pop Up Camping event until it became a little festival of food in the outdoors. Feast in the Woods was more of a mini festival, but I’ve been approached by group of musicians who wanted to put on a small festival for 100 people and needed some logistical support – we’re now planning Flummoxed Festival for July 6th-7th 2013. Was your background in festival volunteering helpful? The roles that you can do for Oxfam are so varied – I learned how to run wrist banding, how to work with the emergency services, how to arrange crowd control, how to deal with lost or found children, how to calm an irate festival goer – I have had to react very fast to emergencies and learned how the whole ‘ecosystem’ of the festival works. It has been incredibly rewarding and has helped me build my confidence. Volunteering for Oxfam has been invaluable in helping me shape not only my ideas for my business but also given me the confidence that yes, I can do it! What’s the ethos behind Honeywoods events? I wanted to create small, one off, pop up camping events which would bring together creative people, for a short space of time, who would create a fantastic weekend of exploration together before leaving the land in the same – or even better – condition when they left. Everyone has something to contribute, whether it is music, cooking, foraging expertise or just helping out with the campsite. I wanted to encourage people back out into the outdoors to enjoy our varied and beautiful natural heritage. I was so saddened by the commercial festivals, which saw streams of festival goers pitching up, unaware of the beauty of their surroundings, to spend all their money on inflated alcohol prices before abandoning all of their camping equipment because they are too tired to carry it all home. So Pop Up Camping is about taking stock of your surroundings, feeling a part of it even if just for a short time and contributing to the experience, rather than being a spectator. 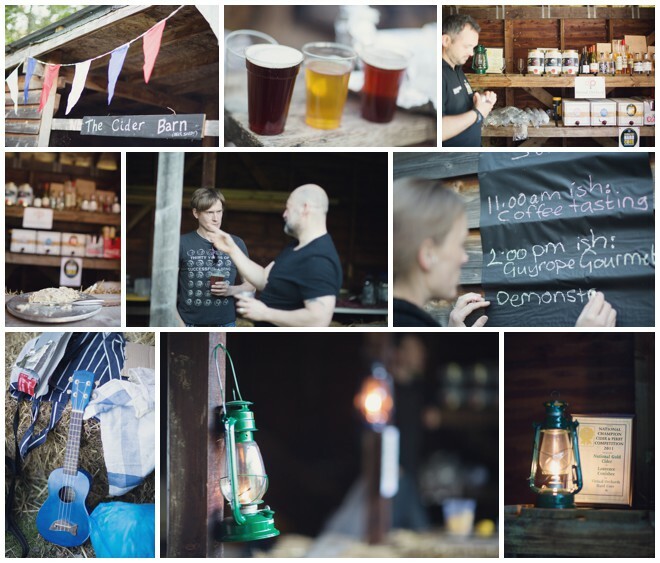 What events and activities went on at Feast in the Woods? The main theme was food and the outdoors; so we had the amazing (and Girl Outdoors favourite) Guyrope Gourmet teaching us that campfire cooking need not be beans on toast. I made friends with What the Dickens, a London based street food company, and they spent the day smoking organic Kent cheeses in an old wardrobe-turned-smokehouse and slow roasting lamb on the campfires in time for a fantastic display of food in the evening. All of this without electricity, too, just to show that it is possible to eat well outdoors. There was a lake for boating and swimming, and we had a coffee tasting session and a cider barn run by Virtual Orchard. The tents and camper vans were arranged in together around the central campfire for music and singing when the sun went down. How do you feel now it’s over? 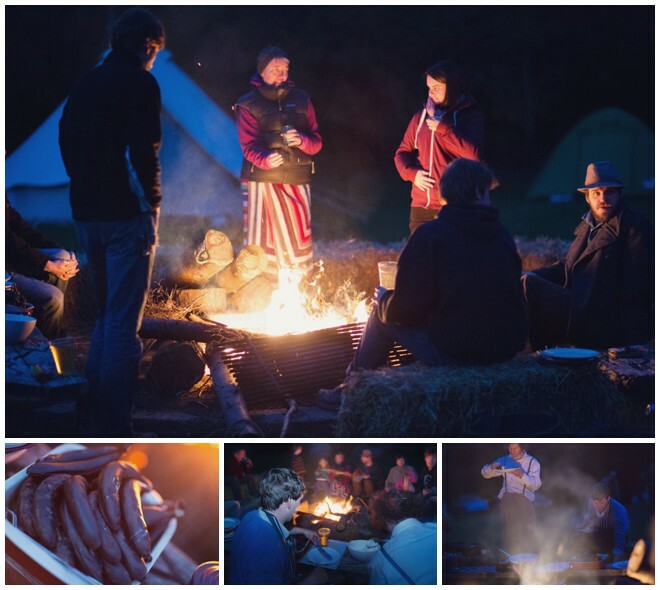 Feast in the Woods last weekend is proof that there is a space in this world for groups of people, any age, any background, coming together for en exploration of the outdoors, creating a pop up community for the weekend, collaborating, learning and supporting each other. What really made the weekend special for me was the way every single person got involved. Guests ended up sharing food around the fire, singing, interacting with each other in a way that suggested we had known each other for years. We even had someone build stairs for the compost toilets! The washing up was always done, the fire always looked after, rubbish cleaned away; we had created a community. The woodland itself was so beautiful, I believe everyone was inspired to explore and relax into the weekend. It was magical, on Sunday afternoon down by the lake, watching people swimming, encouraging the younger kids to try out the kayaks and looking out for each other in the water. I sat there watching from a distance and it struck me, at that moment, that I had achieved what I set out to do. It was a very special moment! 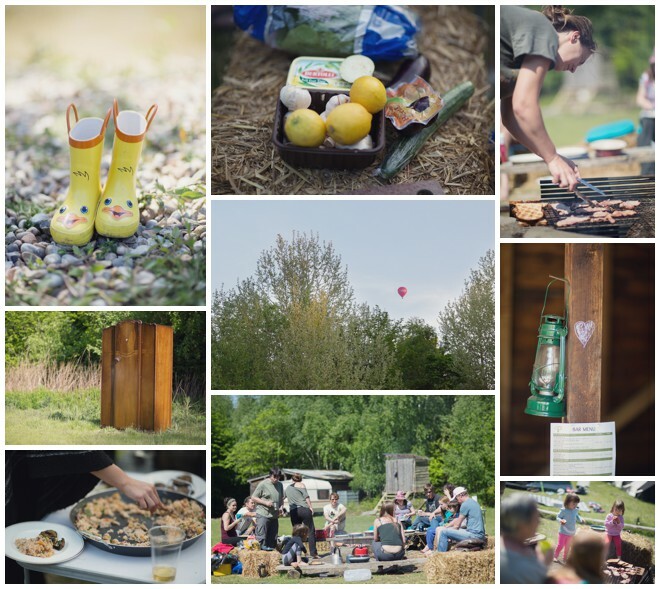 Feast in the Woods will take place again next year, on the 24th May 2014. Find out more about Honeywoods Camping and upcoming events at honeywoods.co.uk. These lovely photos are by Lifeline Photography.